Build 1966 by R. D. Bleeker. The building contains two halls (700 seats and 250 seats). Used as a touring venue for opera, musical theatre, ballet, drama, and cabaret performances and for concerts. 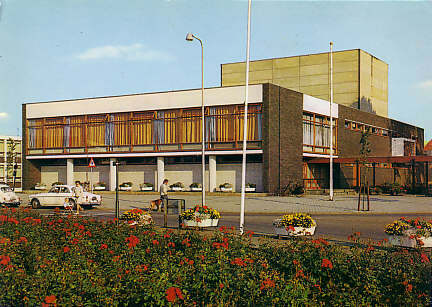 Front Text: "Den Helder / Holland - Schouwburg, Theatre, Das Theater"